Kosher Kush, was a winner of High Times Pot Cup’s Best Indica in 2010 and 2011, along with Best Strain in 2011. It was originally created in Los Angeles as a clone-only strain. Kosher Kush is known for its high THC levels and to be among one of the strongest smelling of the OG Kush-related strains. It's a unique yet familiar scent is similar to rich earth and fruit, and it is regarded by many to become among the tastiest smokes around. 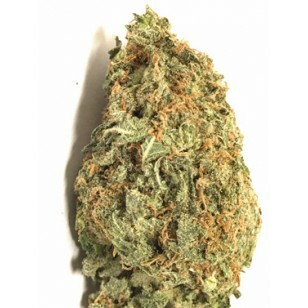 The high itself is typical of many pure Indica strains providing for deep relaxation and pain relief. This is a great night time medication and should provide help falling into a peaceful sleep. Kosher Kush, was a winner of High Times Pot Cup’s Best Indica in 2010 and 2011, along with Best Strain in 2011. It was originally created in Los Angeles as a clone-only strain. Kosher Kush is known for its high THC levels and to be among one of the strongest smelling of the OG Kush-related strains. It's a unique yet familiar scent is similar to rich earth and fruit, and it is regarded by many to become among the tastiest smokes around. The high itself is typical of many pure Indica strains providing for deep relaxation and pain relief. This is a great night time medication and should provide help falling into a peaceful sleep.